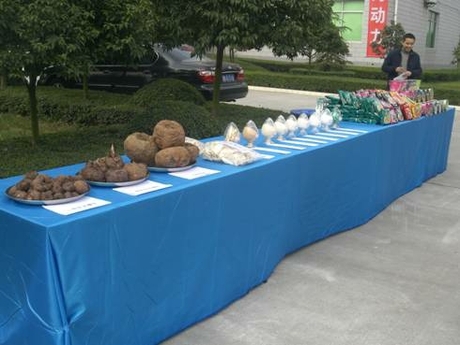 Konjac Gum/Konjac gum powder has many characteristics such as hydrophilic, thickening property, stability, emulsification, suspension, gel and film forming properties, etc. as stabilizers of beer foam, Konjac Gum can help bubbles small and uniform after pour into cups as well as hang cup for a long time; as a binder, Konjac Gum can be added into noodles, rice noodles, twisted leather, meatballs, sausage, bread and pastries to enhance tendon force and keep fresh state; as gelling agent,Konjac Gum can be added into various kinds of fudge, obstinacy and crystal sugar, and also it can be used to produce bionic food. Konjac Gum is an edible plant fibers but uneasily be digested. Konjac Gum is low in calories and has characteristics like high water absorbability, high viscosity and high expansion rate. After absorption of gastric juice in the stomach, the expansion rate will reach 20 to 100 times, which will let people have satiety. It fully meets people’s eating pleasure without becoming fat, so there is no need to deliberately go on a diet to achieve a balanced diet in order to achieve the ideal weight loss results. 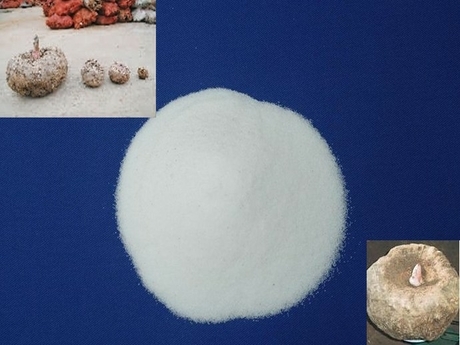 Sidley chem is one of the most famous Konjac Gum suppliers in China. If you buy Konjac Gum or inquiry Konjac Gum price, please e-mail us through: Sales@visitchem.com to contact us.